Pipes deteriorate deteriorate and may need to be inspected. Fortunately, robots are available for this job, meaning humans don’t always have to be directly involved in this labor intensive and even dangerous task. These robots, however, are extremely expensive. This project aims to construct an alternative to those that are on the market, with a structure that can adapt to pipes of various diameters. 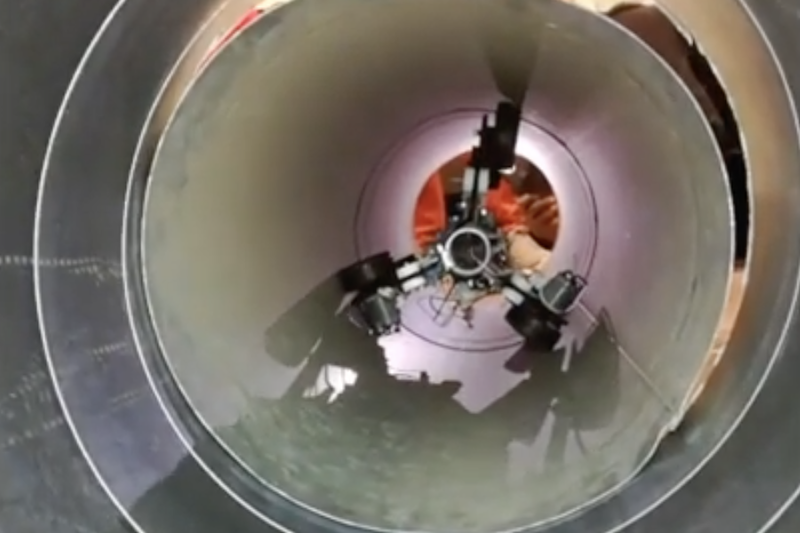 The robot that the team came up with uses a pair of three-wheel roller assemblies arranged at 120 degrees for contact along the pipe’s inner diameter. Each wheel is attached to a linkage assembly that connects it to a central spring, designed to contract and expand as necessary to maintain pressure on the pipe, even if the diameter changes. For locomotion, two of the three front wheels are driven by powerful gear motors, pulling the rest of the robot with it. Control is accomplished via an Arduino Uno and an L298N H-bridge board. As of now, it’s been shown to work well 300mm and 320mm horizontal pipes, and can roll like a car through larger diameters as well. One could see this type of design expanded in the future with three- or six-wheel drive and perhaps active control of the wheel linkages. This could then allow for better maneuverability or use in vertical piping. 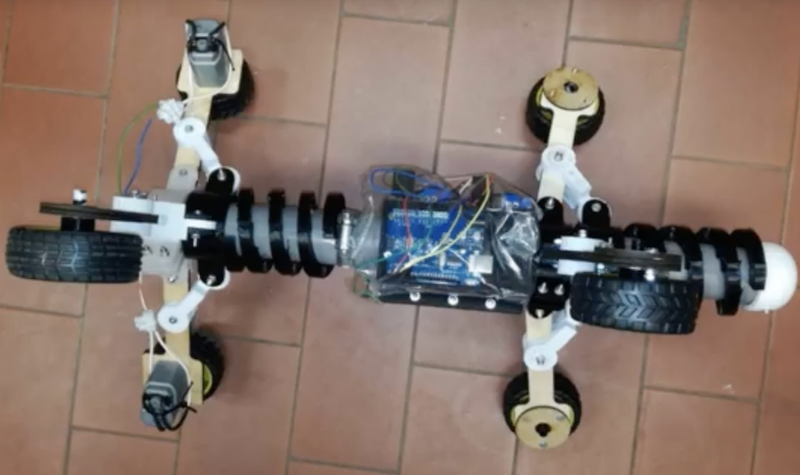 Pipeline Inspection Robot Prototype was originally published in Hackster Blog on Medium, where people are continuing the conversation by highlighting and responding to this story.